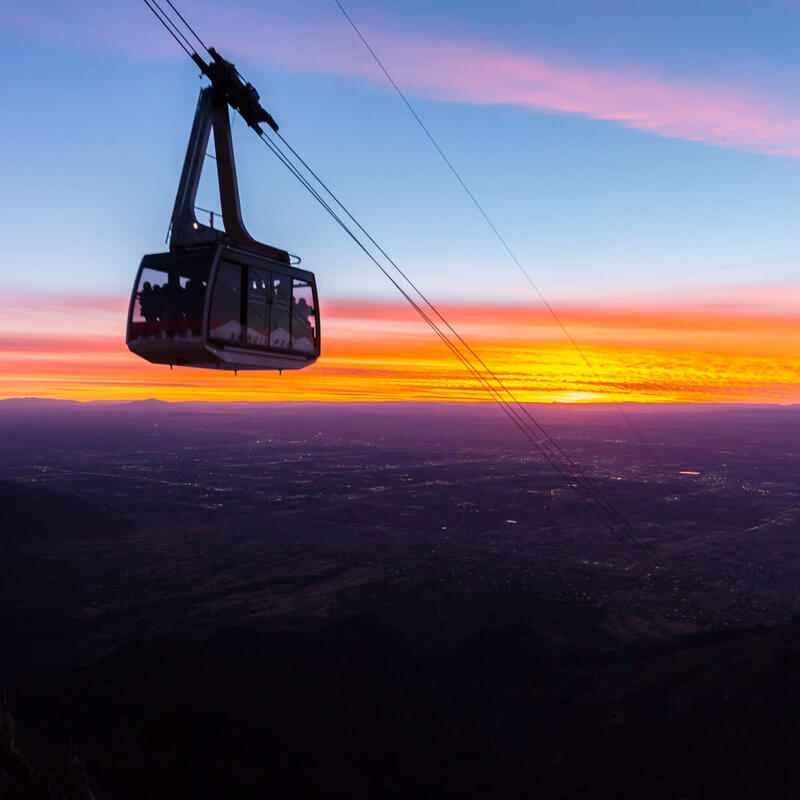 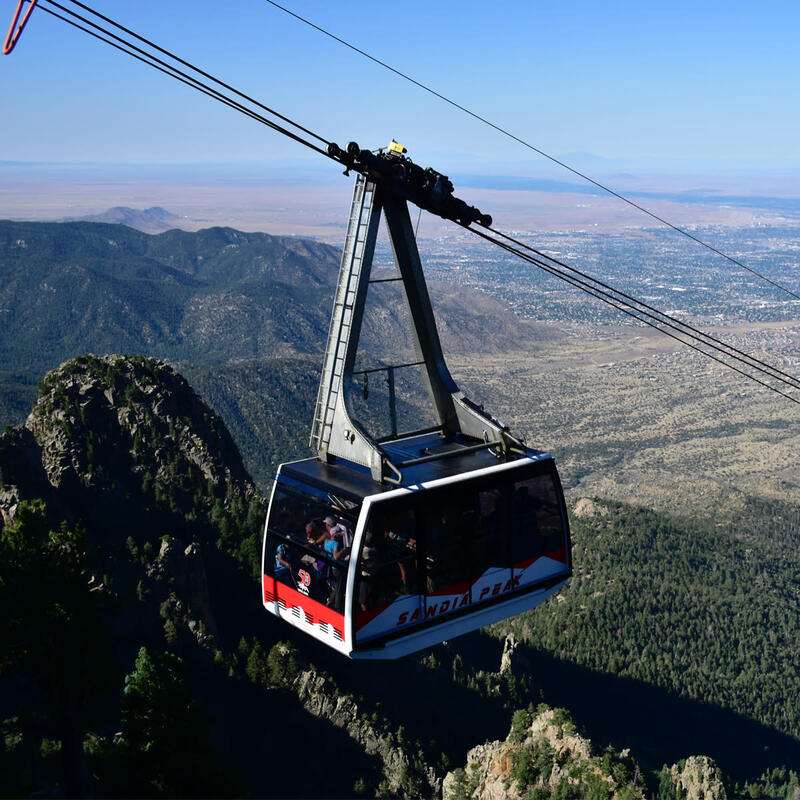 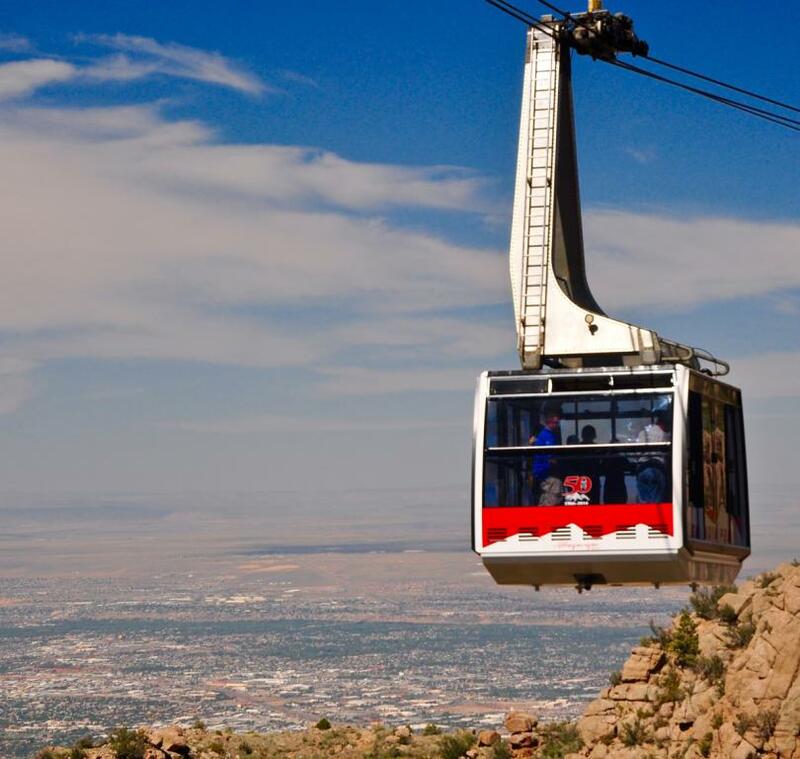 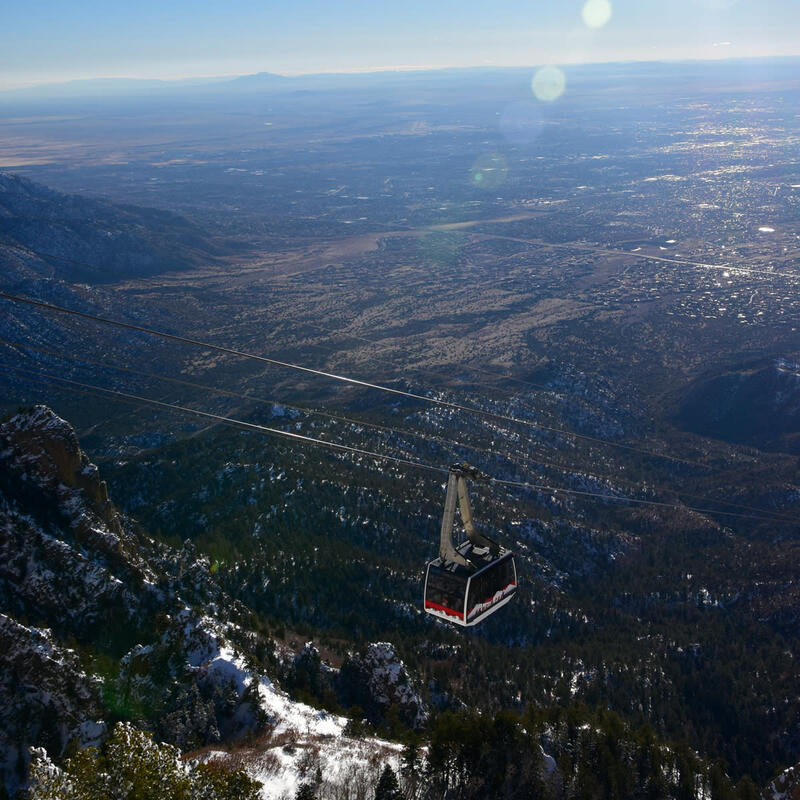 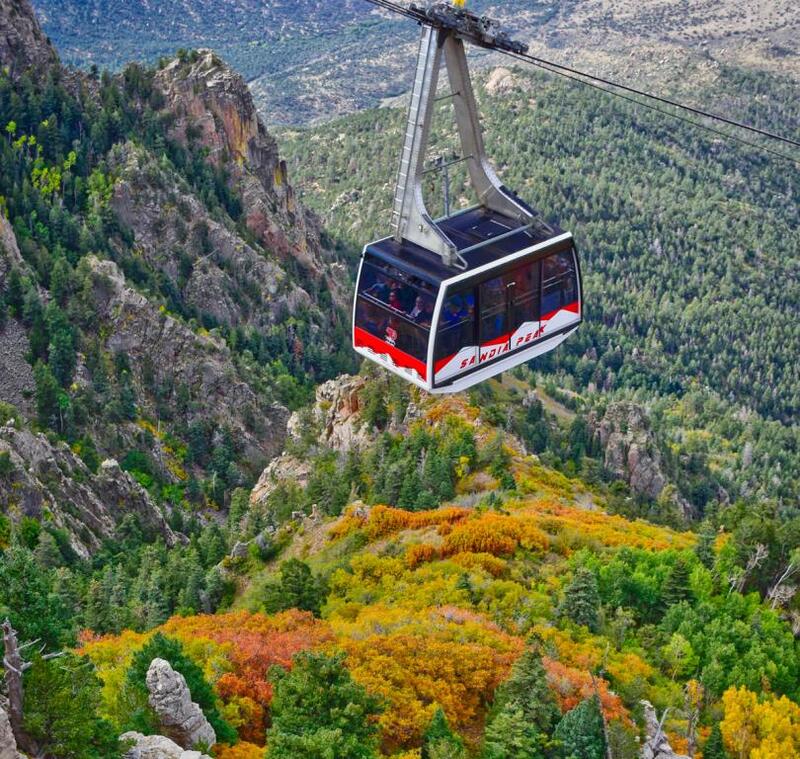 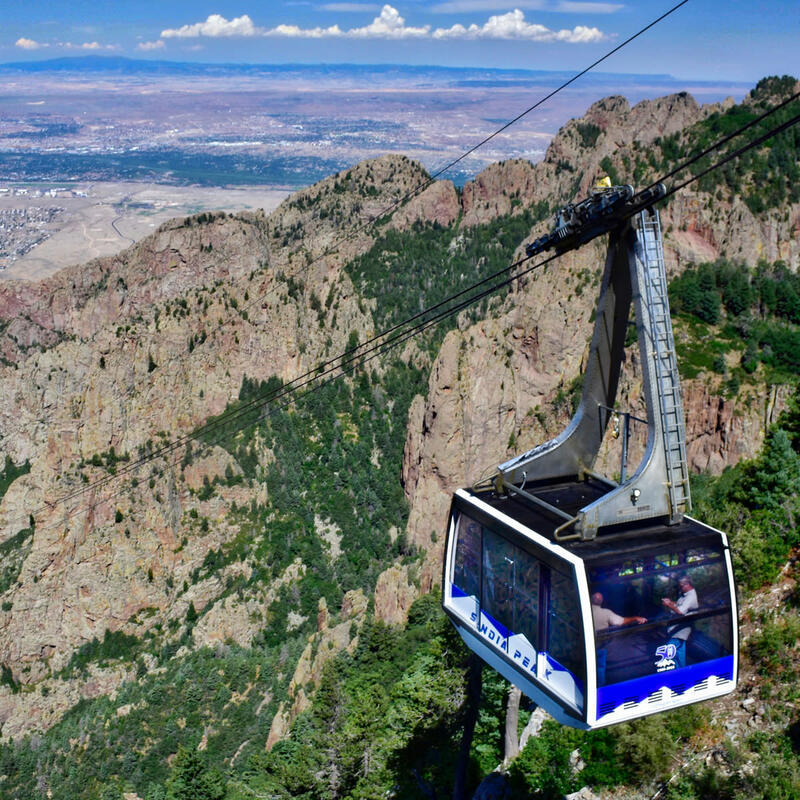 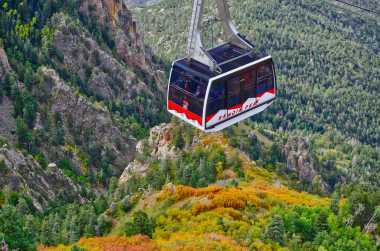 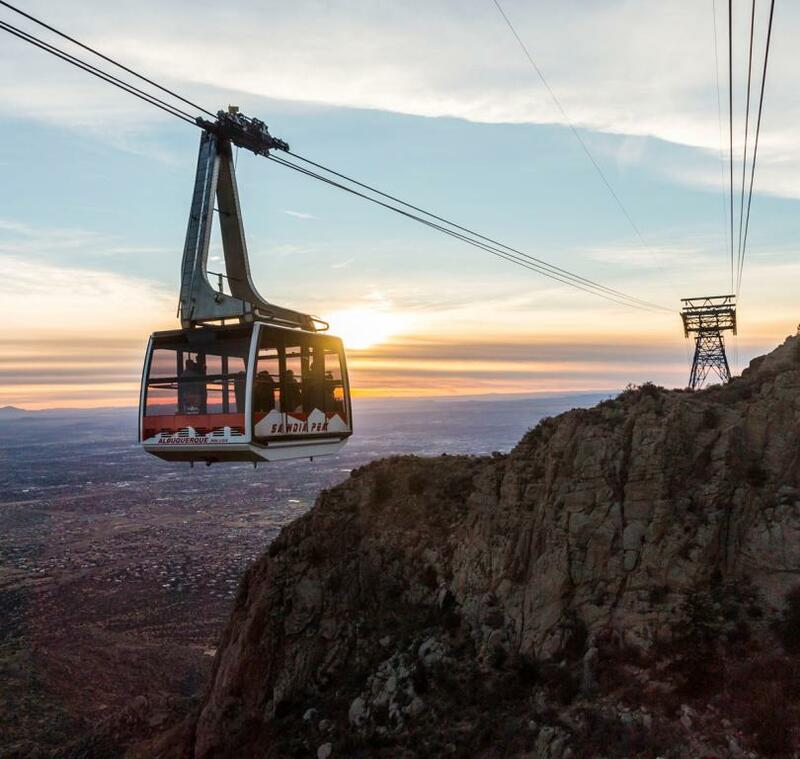 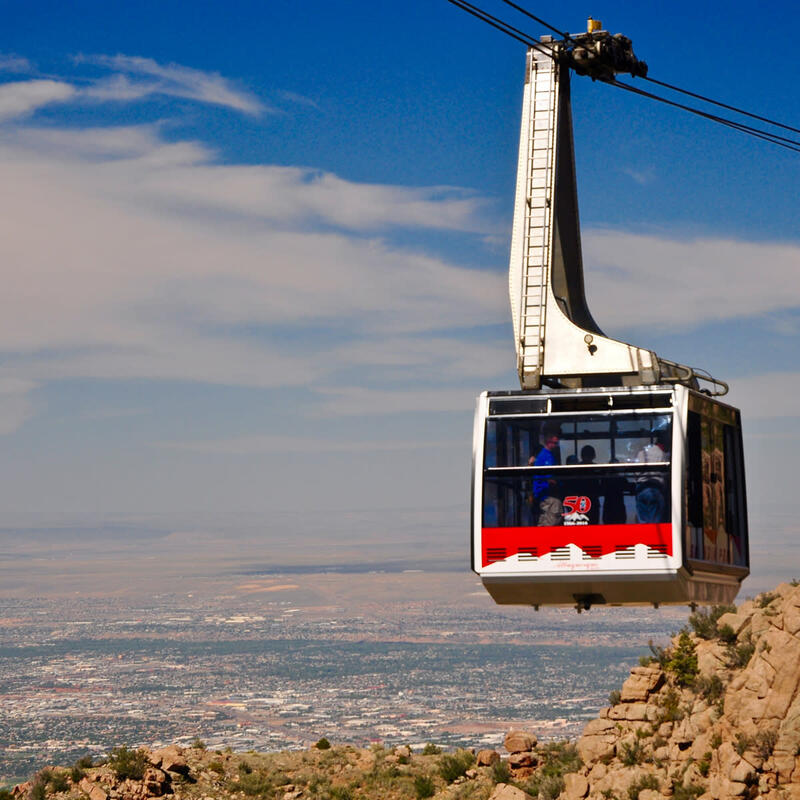 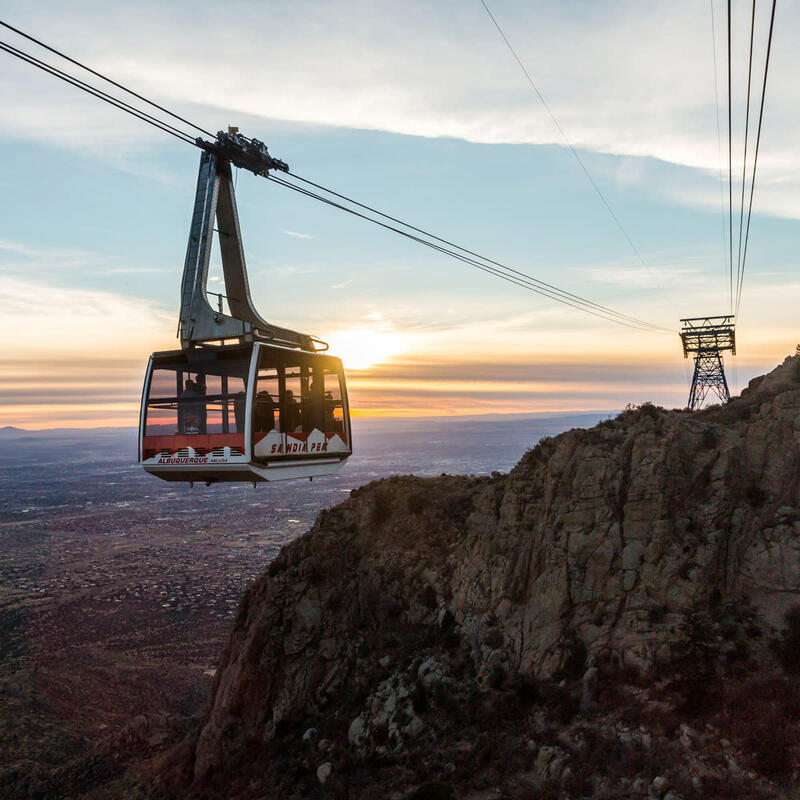 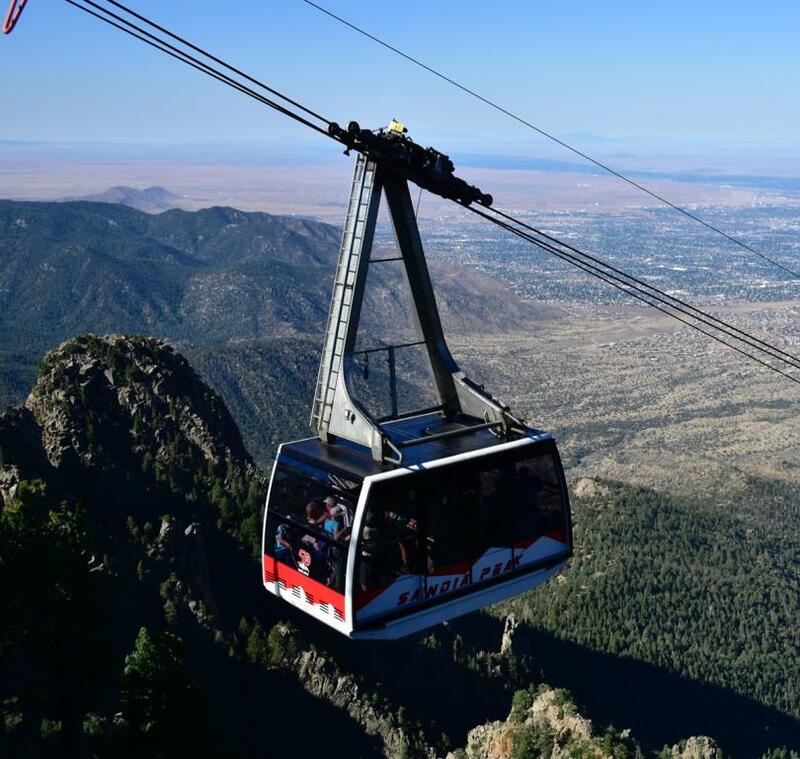 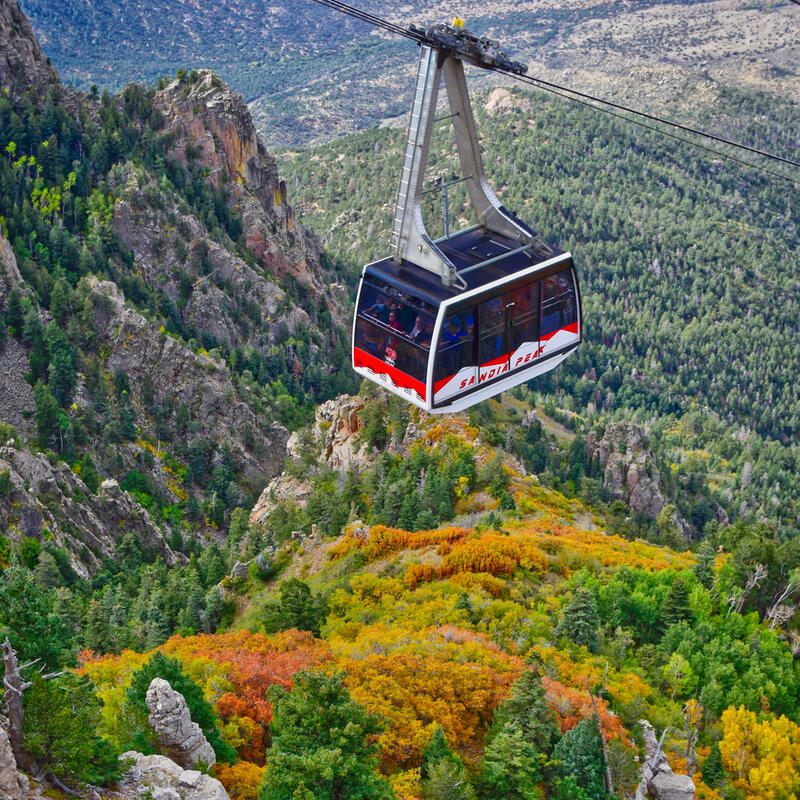 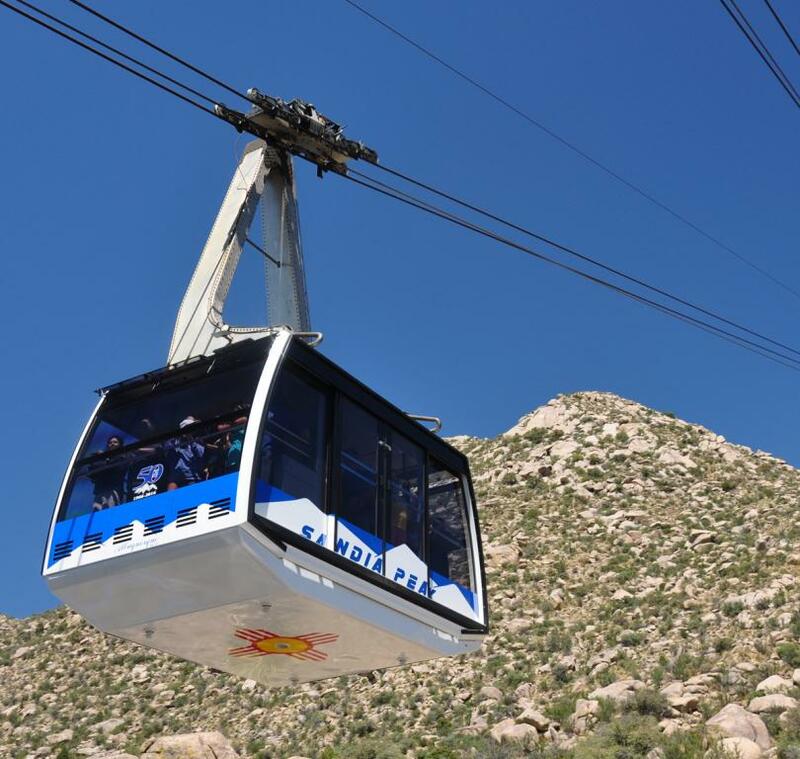 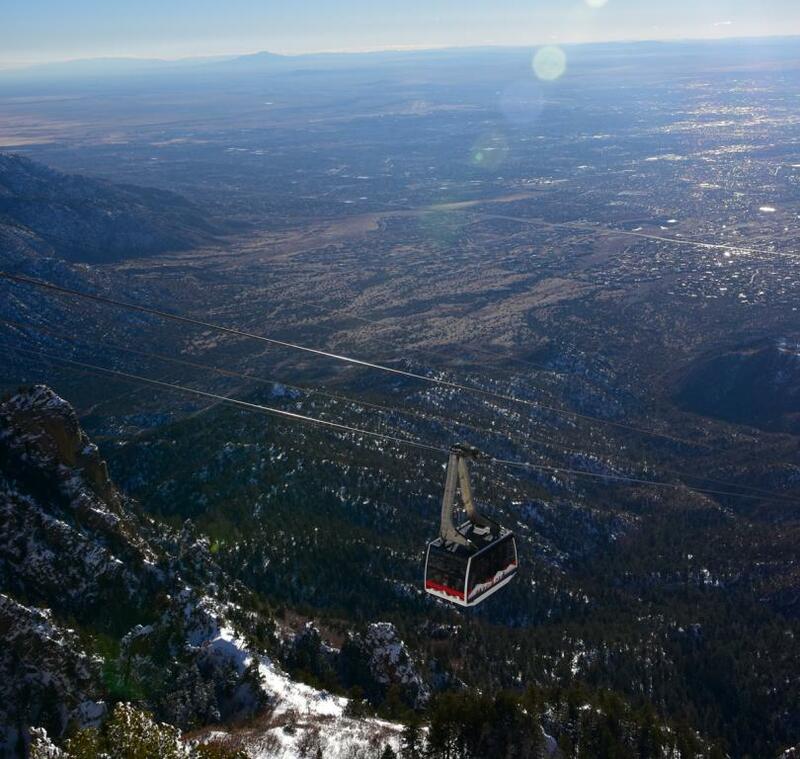 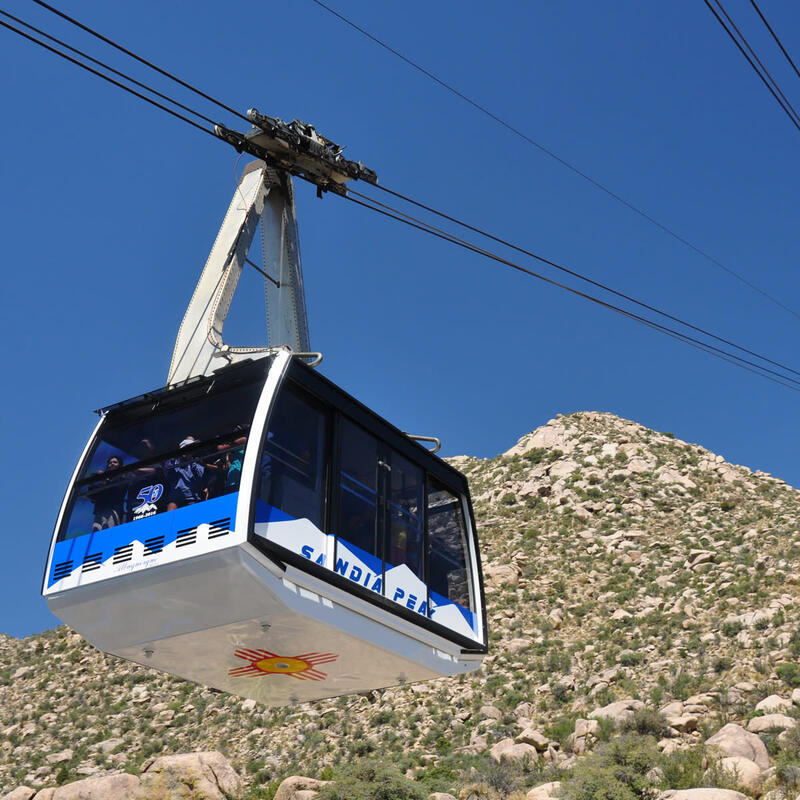 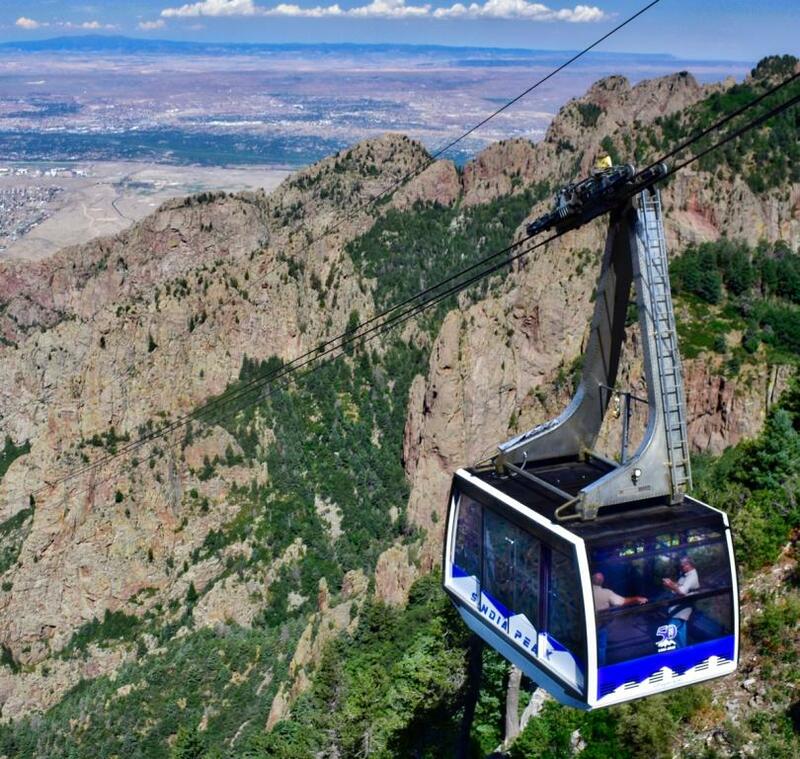 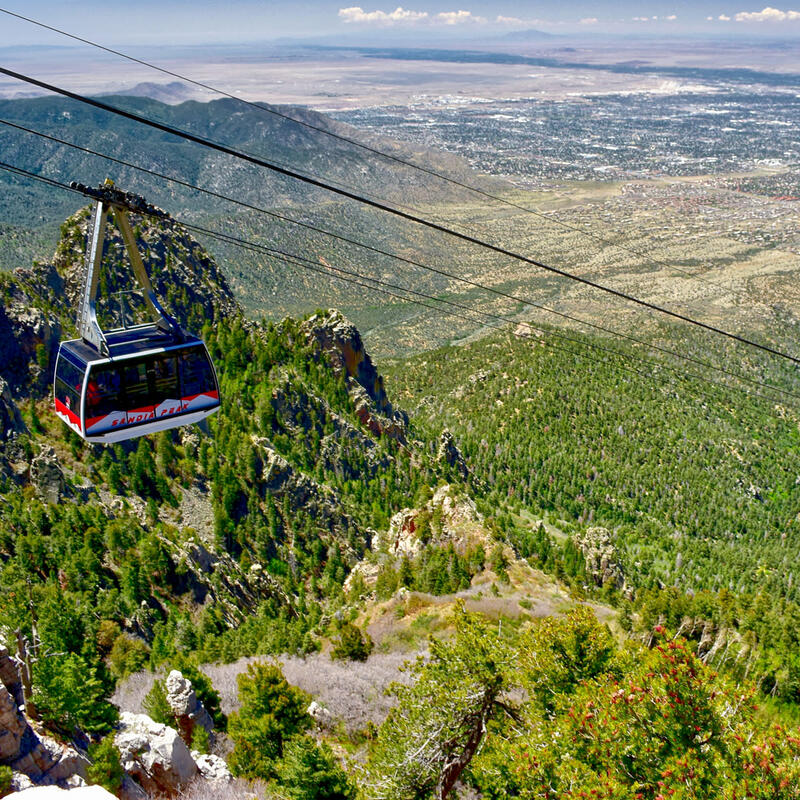 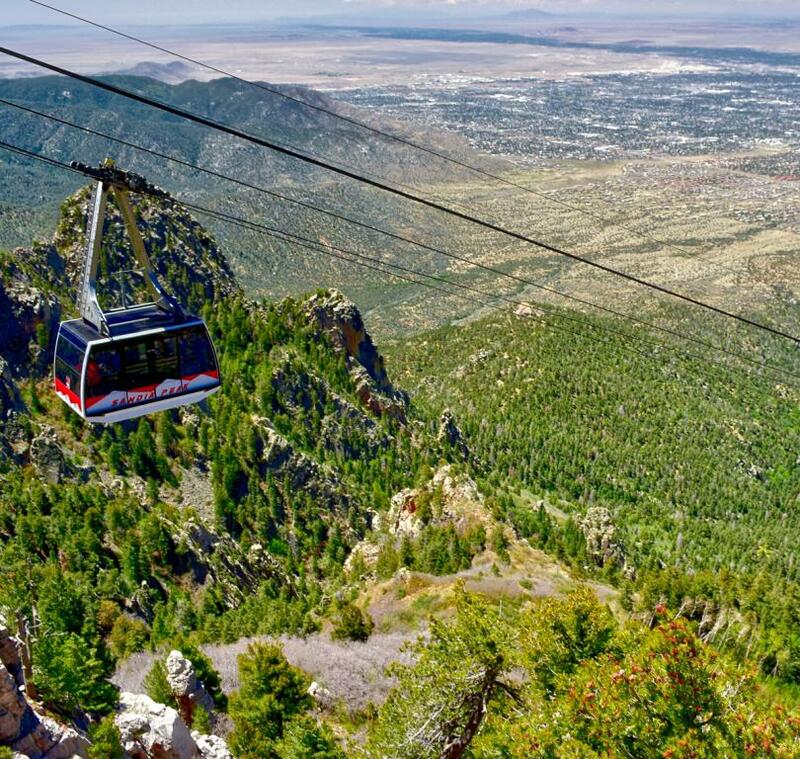 The Sandia Peak Aerial Tramway transports you above deep canyons and breathtaking terrain. 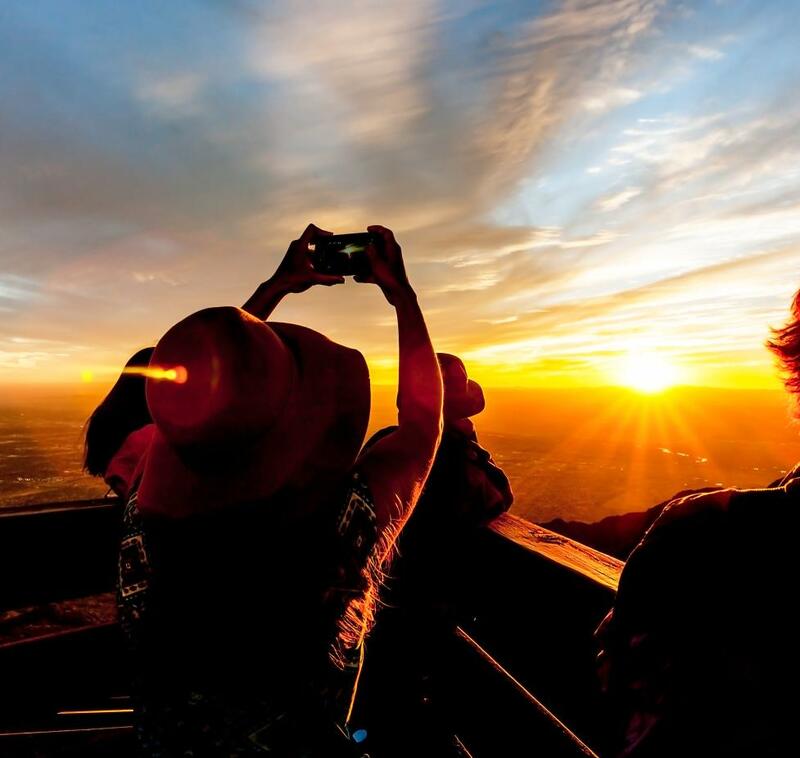 See nature’s dramatic beauty unfold before you. 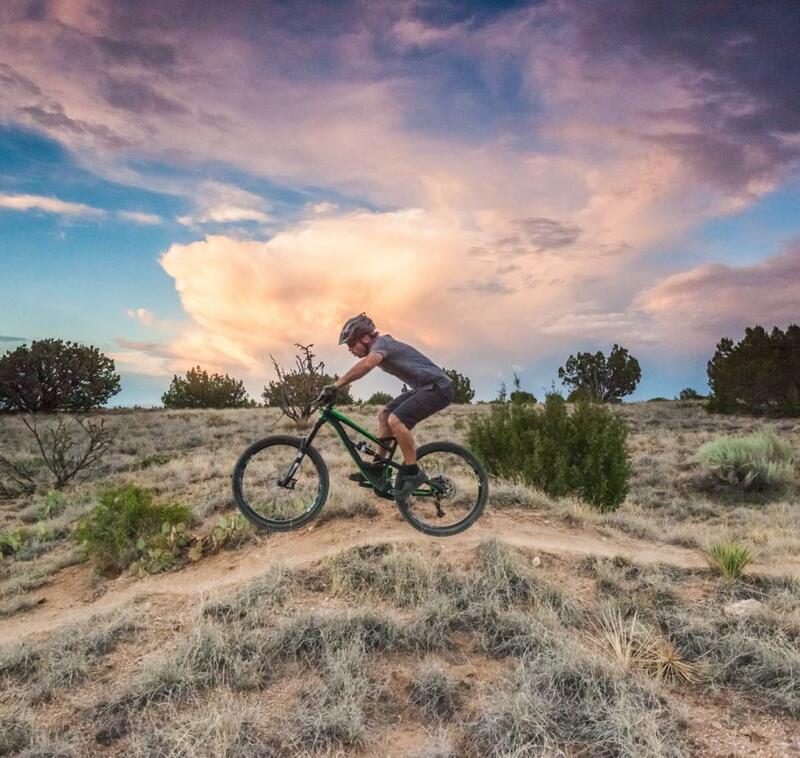 At sunset the desert skies produce a spectacular array of color from the observation deck atop 10,378 foot Sandia Peak in the Cibola National Forest an 11,000 square-mile panoramic view of the “Land of Enchantment”. 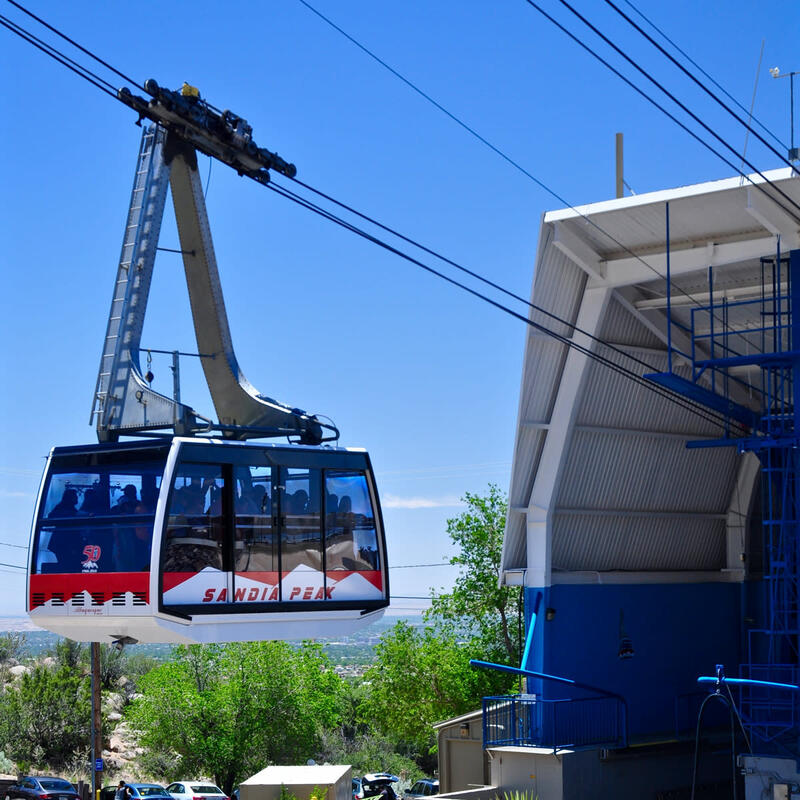 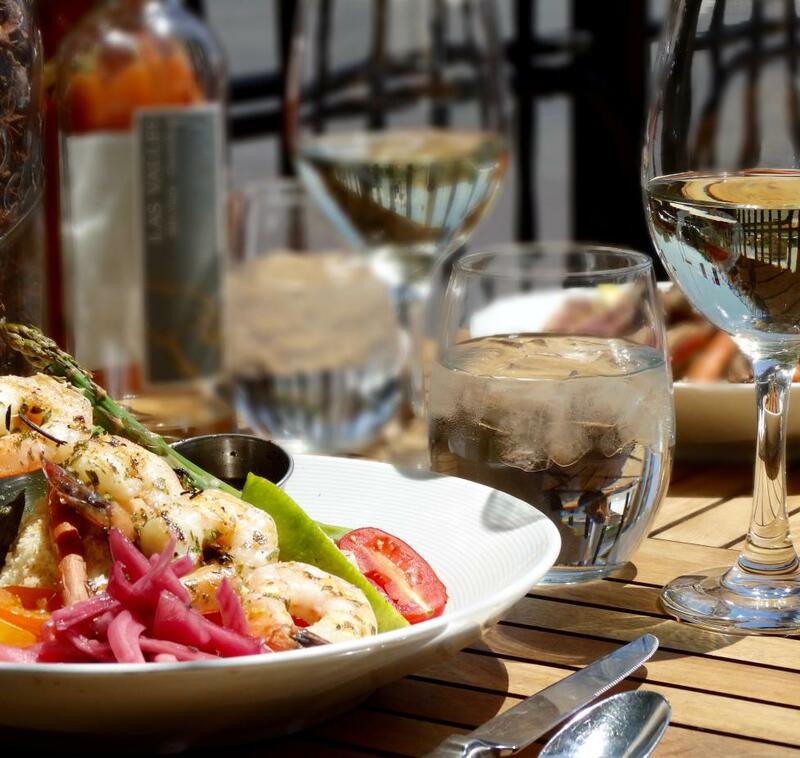 And after your tram ride, stop by Sandiago’s Grill for a delicious meal and drink”. 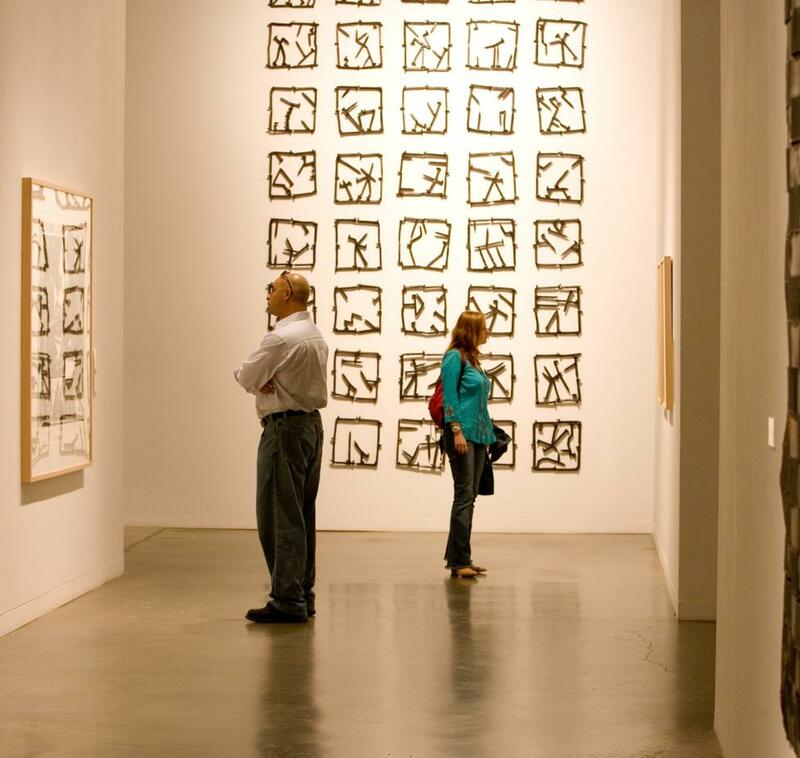 Hours of Operation: Open daily 9am-8pm; except Tuesdays 5pm-8pm. 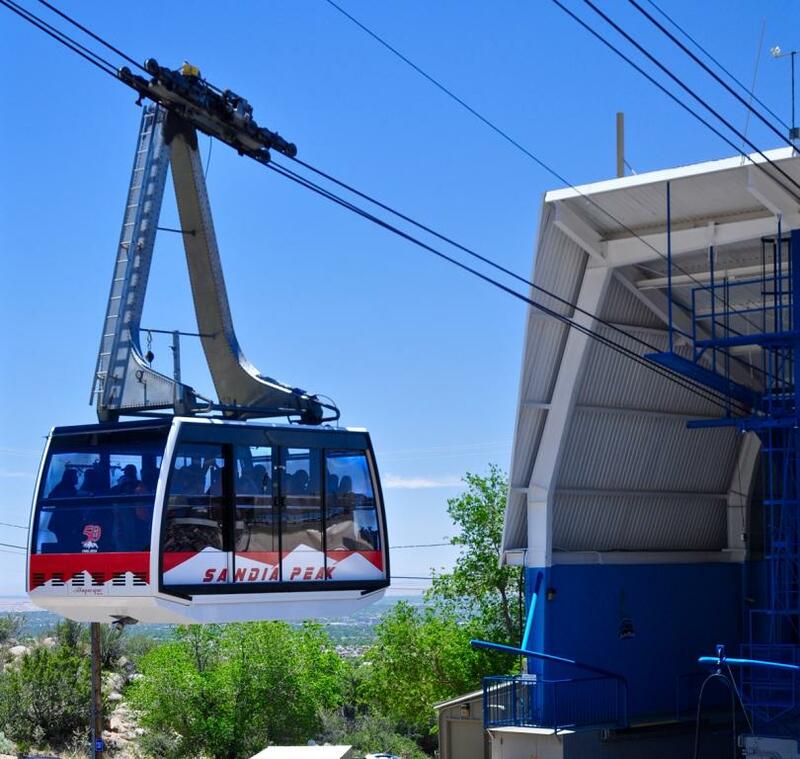 Rates: $25 Adults, $20 Seniors 62+ & Teens 13-20 yrs, $15 Youth 5-12 yrs. 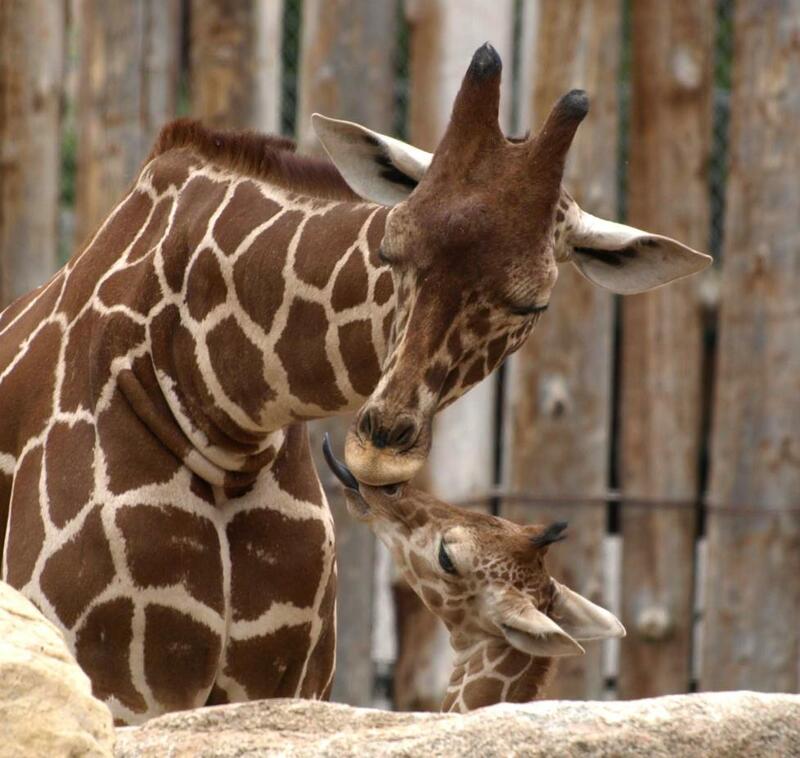 Children under 5 FREE!